The basic kit, with parts for an 8-zone sprinkler system. The "SPinkler" is an irrigation controller. It controls your in-ground 24Vac sprinkler valves. It can replace the "dumb" irrigation timer that you probably have in your garage right now. 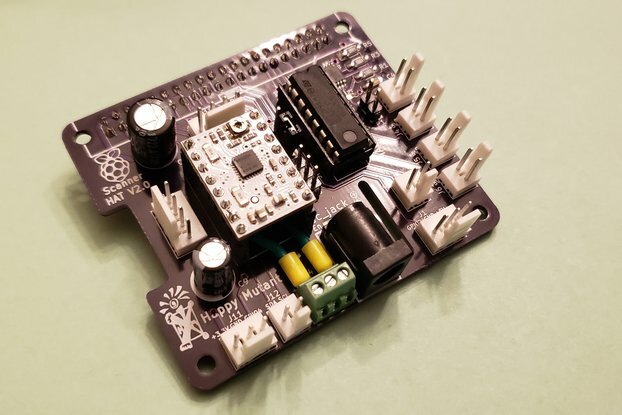 There are plenty of new "smart" irrigation controllers out there that use weather information to determine how much to run, but there are few that are hacker/maker friendly, like this one. It is controlled by a Raspberry Pi that you can program however you like. It comes with example software, written in Python, that uses a Google Calendar to set your watering schedule. I love IOT stuff, but I do not like corporate IOT stuff, running software you don't control, pushing data to their cloud for purposes you don't know, etc -- So I like to make my own when I can. There are other make-oriented sprinkler controllers out there, like the OpenSprinkler project. In fact, the OSPi available from Rayshobby is pretty nice and has well-developed software. 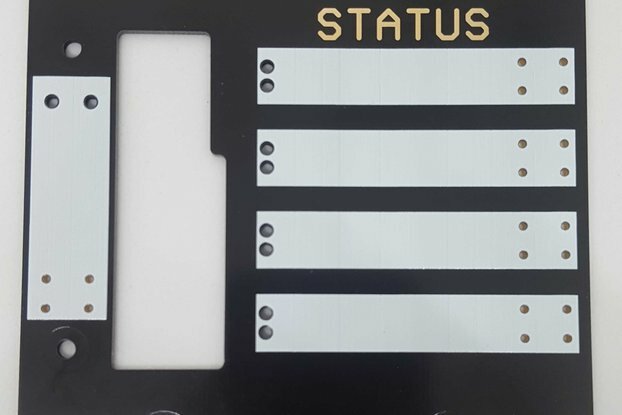 However, I decided to design this one because I wanted a particular zone layout, form factor, and display type. 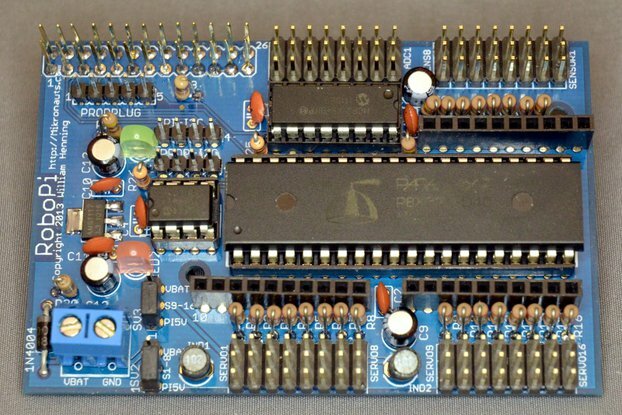 The SPinkler is a PCB board designed with total simplicity in mind. As such, the board is very straightforward. You simply plug in a Raspberry Pi computer (not included) and a 20x4 LCD display (optional, also not included), hook up a 24Vac power supply (not included, but you can reuse the one from your existing sprinkler timer) and your sprinkler valves, and you're in business! Power comes from an LM2596 switch-mode regulator, which takes the 24Vac input and generates a clean 5V DC for the Pi. There is ample capacity for a Pi3, even with some USB stuff plugged in. The Pi talks to the the board primarily by shifting data over GPIO pins into 74HC595 shift registers. One of the shift registers is connected to eight triacs, which drive your sprinkler valves. If you want to 16 zones, a second shift register can drive an additional 8 triacs (which I provide as parts in a 16-zone kit). A final shift register drives the LCD display. Comes ready to drive 8 zones, but you can add more triacs to drive up to 16. 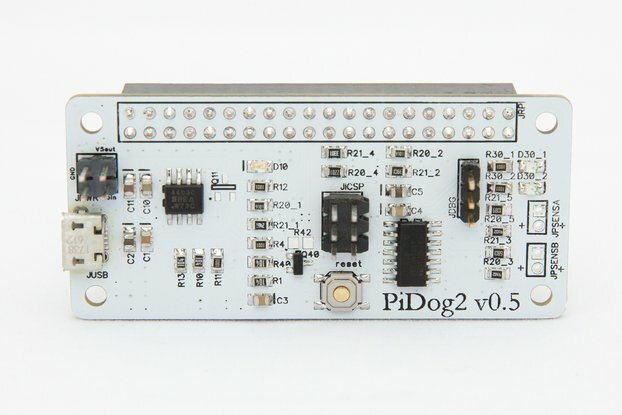 It can also dedicated any of the outputs to act as a "pump start relay"
socket to plug in a Raspberry Pi Zero W. If you prefer to use a Pi 3, you install a header in the Pi socket location and use an IDC connector to plug in any other kind of Raspberry Pi. socket to plug in a Hitachi HD44780-style LCD. Mounting holes match the 20x4 model, but you can use 16x2. 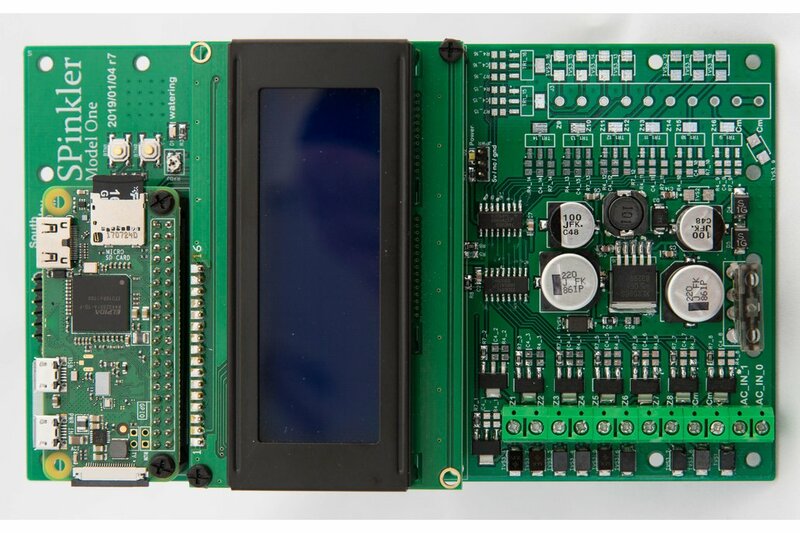 Just about any generic 20x4 LCD module will work. robust screw terminal connections for power, zones, and "common"
fused with automotive "ATO" style fuse. TVS protection diodes on all outputs. In addition to the basic library code, I provide a working "reference" application, and this is what I use to water my home. The application is based around Google Calendar. Instead of requiring a special sprinkler app on your phone, you can simply create a Google Calendar for your watering schedule. The application reads that calendar, and the SPinkler will faithfully execute your schedule, no matter how complex or how often you change it. Right now the app doesn't do much with weather information, but it will cancel watering if the local forecast says it is raining. This app can also (optionally) email you after each watering, to let you know that it ran, or if it did not run for some reason, you'll know that, too, and why. 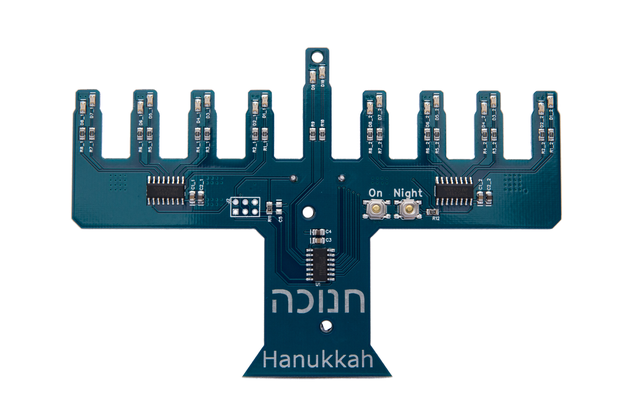 The 8-zone kit includes the PCB populated with all the SMT parts. 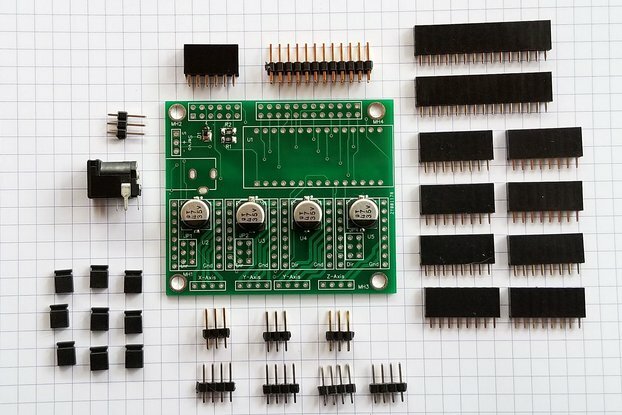 You will solder all the connectors: for the Pi, the LCD, the sprinkler terminals, fuse holder, and serial debug header. All of these are through-hole parts, very easily soldered. The 16-zone kit includes the PCB populated for 8 zones, along with the additional SMT parts you need for 16 zone operation: another shift register, 8 more 220 ohm drive resistors for triacs, 8 more triacs, and 8 more TVS diodes, and screw terminals for the additional zones. Soldering these SMT parts requires a bit of skill, but nothing is very fine-pitched. You will not need any special tools or fancy iron.